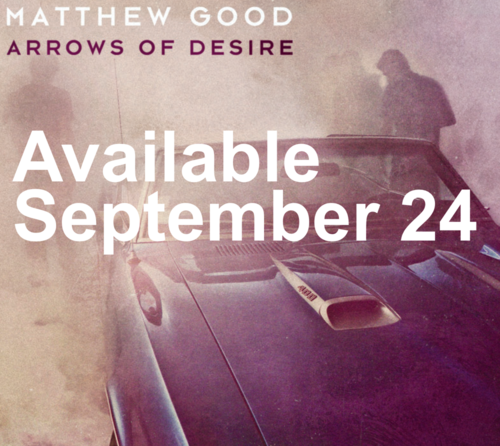 Toting a strong and intriguing name, Arrows of Desire is the new kid on the block joining us in the later months of 2013, and is the 13th studio album by Canadian music icon Matthew Good. Never heard of Matthew Good? Well, he’s been bouncing around the alternative rock scene since 1995. He’s still kicking strong, and his new album is a testament to that. Arrows of Desire is set to be released September 24 and conveys a very new-age feel and is a unique approach to rock. If you’re looking for rock, you’ve definitely chosen the right album. My favorite track on the album is by far “Via Dolorosa.” “Via Dolorosa” is Latin, roughly translating to either “way of suffering,” “way of grief,” or “way of sorrows.” The song has a very reflective and almost calming nature, and in spite of its name, it’s not overly depressing. I can say with certainty that “Via Dolorosa” will definitely find its way into my music library, and is sure to be a hit. Another highlight on the album is the already released single “Had It Coming.” If you get the chance, be sure to check out the song online or stream its music video to get an accurate feel for what Arrows of Desire is all about. To give a quick synopsis: it’s a rock song that features a few almost-narratives imbedded in its verses. It definitely deserves a listen over an explanation, and it’s worth checking out. If some of your favorite bands include the likes of Coldplay or Imagine Dragons, Arrows of Desire may be for you. This is with noting that Matthew Good has a unique, special something that he brings to each album that differentiates him from his contemporaries. If you ever have the time you should give his work a listen, or, more specifically Arrows of Desire. You just might enjoy it. Matthew Good will be playing the Rebecca Cohn Auditorium on October 18. If you want to get a grasp of what makes him one of Canada’s alt-rock heroes, and to check out some of Arrows of Desire in person, it isn’t to be missed. Tickets are still available at the door or online.